LONGLISTED FOR THE MAN BOOKER PRIZE 2016 AND THE BAILEYS WOMEN’S PRIZE FOR FICTION 2016. A #1 NEW YORK TIMES BESTSELLER. 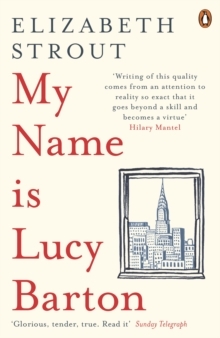 An exquisite story of mothers and daughters from the Pulitzer prize-winning author of Olive Kitteridge Lucy is recovering from an operation in a New York hospital when she wakes to find her estranged mother sitting by her bed.